The moon-landing of July 1969 remains an iconic event in human history, and one of mankind’s greatest achievements. First released in 1970, this pioneering documentary is a philosophical and poetic account of humanity’s unique ambition. Remastered for the digital age and utilising previously undiscovered footage, it offers a new generation the chance to witness the drama of the first lunar expedition, and to sense the excitement of a world on the brink of making history. "Beyond these fragile walls… Nothingness. Absolute cold. An end to life" intones the narrator as the risk involved in Buzz Aldrin, Neil Armstrong, and Michael Collins' giant leap for mankind becomes apparent. Far away from home, their life is in the hands of the years of preparation invested in the Apollo 11 mission. Touching moments, such as a mid-mission report stating "Your three wives and children got together for lunch yesterday at Buzz's house" only serve to heighten the stakes. The anticipation in the faces of the dignitaries massed along NASA's official bleachers mirrors that of the crowds of tourists who have pitched up to Cape Kennedy. Even the ranks of NASA scientists ensconced behind their equipment can't suppress their awe. As the Saturn V rocket disconnects and the shuttle becomes a smudge in the sky, all they are left with is fragmented radio transmissions from half a world away. "It could honestly be said that this was the culmination of the dreams and fantasies of men and women over twenty-five centuries of recorded time." Samples collected, the story takes on a nervous tone as the shuttle begins the long journey home. We feel the world watching with bated breath, faces pressed up against the screen as they try to comprehend the images they are receiving. Writer, broadcaster and film maker Dr Christopher Riley has worked in the field of public engagement in science for over fifteen years. He gained his doctorate from Imperial College, University of London in 1995 and began reporting for the BBC Radio Science unit the same year. 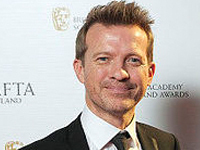 He moved to BBC television in 1997 to work as series researcher for their landmark series The Planets. He co-presented the BBC's 1999 total eclipse coverage and their 30th anniversary celebrations of Apollo 11 - Moon Landings Live the same year. He is a guest lecturer on the Science Communication M.Sc., at Imperial College, University of London and a senior visiting fellow at the University of Lincoln's Department of Media Production. He lectured at the The University of Leicester's bi-annual UK Space School between 2000 and 2005 when he was elected as a fellow of the Royal Astronomical Society in recognition of his endeavours in public engagement in astronomy. Moonwalk One was commissioned by NASA to cover their historic Apollo 11 Moon shot in July 1969. 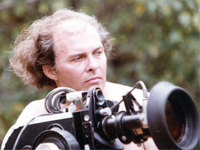 The director, Theo Kamecke, was brought on board with only a few weeks to go. His vision for the film was to create something that would mark the historic, philosophical and epic nature of this greatest of endeavours upon which mankind was about to embark. Shooting on 35 and 70mm film, Theo meticulously captured the events leading up to the mission; from the final construction of the awesome space vehicles and the last minute preparations of the crew, to the crowds gathering to witness the mighty Saturn V launch at the Cape. With an original score by Charles Morrow and a commanding narration by Laurence Luckinbill, Theo’s Apollo doc has been described as perhaps the most significant time capsule record of Apollo 11 ever made. 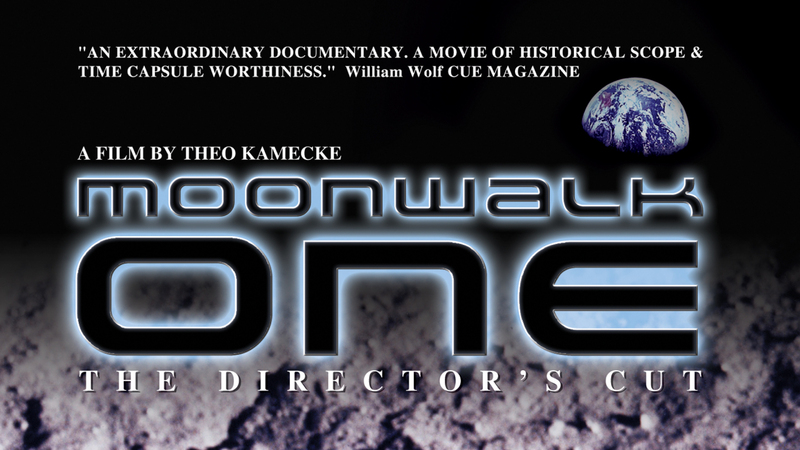 Working closely with Theo, Moonwalk One has now been re-mastered – combining a unique 35mm director’s cut with the newly transferred 16mm NASA flight film media, to create a new HD digital master of the movie.